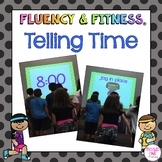 Telling Time MOVE IT! 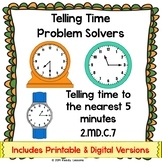 Complete Set - What Does the Clock Say? 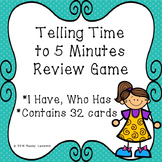 Telling Time to Five Minutes MOVE IT! 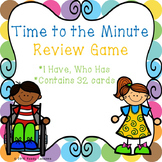 - What Does the Clock Say? 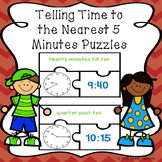 Telling Time to the Minute MOVE IT! - What Does the Clock Say? 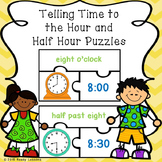 Telling Time to the Quarter-Hour MOVE IT! - What Does the Clock Say? 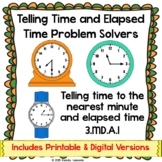 Christmas Theme Telling Time MOVE IT! 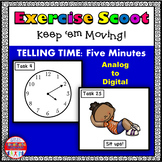 Telling Time 5 Minute Intervals: Math Task Cards - Exercise Scoot! 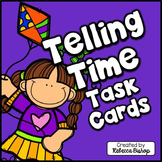 Telling Time Telling Time Task Cards for Second Grade -24 task cards with QR codes for self-checking (optional) -student response sheet included -answer key included (Spring Themed word problems require students to exercise higher order thinking skills to determine whether the time is a.m. or p.m. 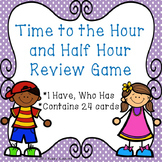 Telling Time to the Hour and Half Hour: Math Task Cards - Exercise Scoot! 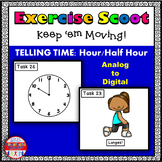 Also included in: Telling Time Bundle: Math Task Cards - Exercise Scoot!